In a short introduction, Apple announced that the new iPad mini 3 will start at $399. It will be available to purchase next week. And preorders for the tablet will start tomorrow. The storage options for the tablet will mirror the iPad Air 2. The 16GB Wi-Fi model will be $399. A 64GB edition is $100 more. The 128GB version will be $599. Cellular-enabled versions will start at $529 for the 16GB edition and go up $100 for each storage tier. Buyers can select from a gold, silver, or space gray version. Apple will also continue to sell the iPad mini 2 and original iPad mini. 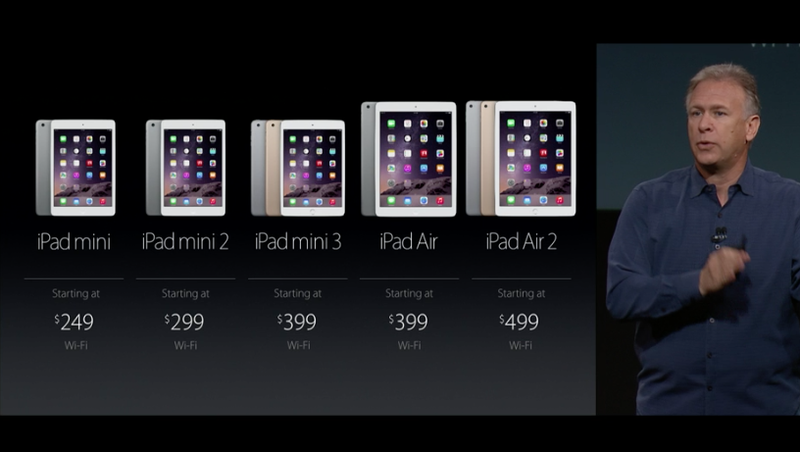 The iPad mini 2 will start at $299 while the original is $50 less.